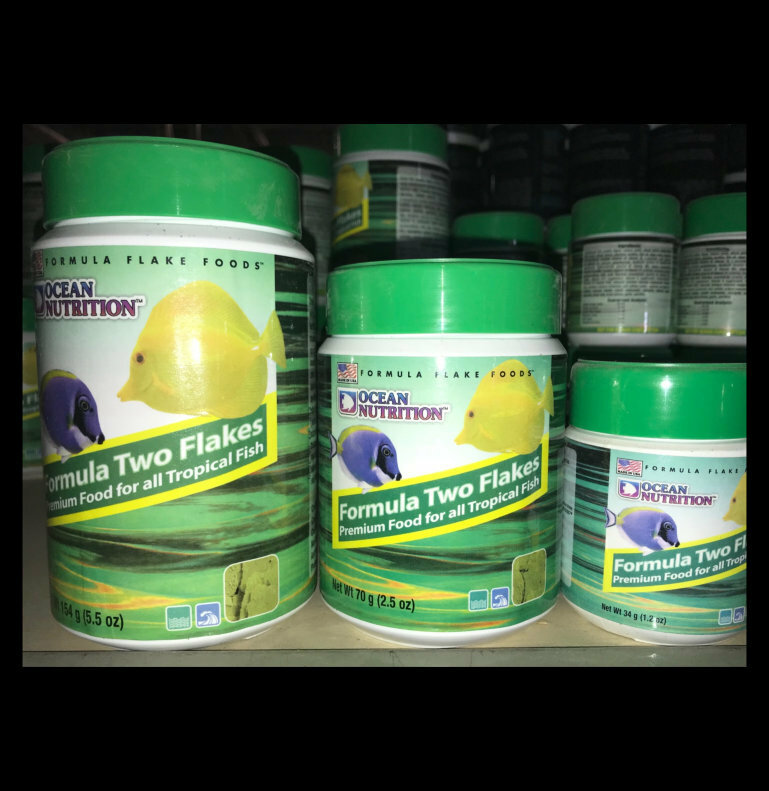 Formula Two™ Flakes are a gourmet food with extra algae for herbivorous and omnivorous tropical fish. They contain a high inclusion of fresh seafood and algae that mimic the nutritional value of a natural diet and promote proper growth, coloration and nutrition to algae eating fishes. This nutritionally rich formulation can be fed to a multitude of fish that require extra vegetable matter. It incorporates marine algae, Spirulina and garlic, a flavor enhancing attractant that helps stimulate the appetite of finicky eaters. This blend of premium ingredients is easy for fish to digest so they produce less waste and your aquarium stays cleaner.